Europe is home to a number of global automotive and heavy duty vehicle manufacturers. In 2015, these manufacturers produced 18.4 million motor vehicles, which accounted for 23% of annual global motor vehicle production. 20,000 new buses and coaches are also produced in Europe every year, most of which are internal combustion engine (ICE) vehicles. With the adoption of new regulations, Europe is shifting away from fossil fuel-powered vehicles, and toward zero-emission transportation. Increased incentives and government funding are also supporting the transition to clean technologies. Europe has committed to the COP21 (21st Conference of Parties of the United Nations Framework Convention on Climate Change) agreement and has recognized the health impact of air pollution. Many policy leaders have called for the banning of diesel cars all over Europe, and key countries have already started the process of phasing out diesel vehicles. Several cities have introduced low-emission zones to restrict dirty vehicles from accessing the city centers. Cities and transit agencies have openly committed to a complete move to zero-emission buses by 2025 and 2030 at the latest. Over the years, Europe has developed a strong ecosystem for hydrogen and fuel cell technology support governments including the FCH-JU (Fuel Cells and Hydrogen Joint Undertaking) program. One of the most successful projects has paved the way for the development of a European fuel cell bus industry. To learn why hydrogen is the best fuel to power Europe’s clean energy transition, see: Advantages of Hydrogen Energy for Europe: 5 Compelling Arguments. shape the framework for deployment of hydrogen products in Europe. and train manufacturers like Siemens. We are one of Europe’s leading fuel cell companies, with 50 employees in Denmark mainly focused on R&D, engineering, manufacturing and service, plus a commercial presence in Germany, the UK, and France. Our plans are for continued growth of this essential footprint in Europe. Ballard Europe prides itself on having a complete value chain. 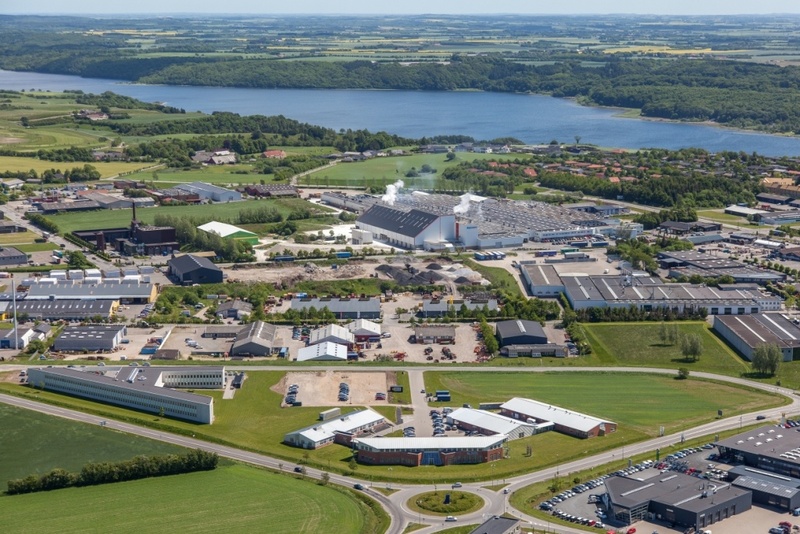 Our European Competence Center is located in Hobro, Denmark. 450 stationary systems to backup critical communication infrastructure. Finally, in preparation for the next generation of fuel cell users, Ballard Europe has partnered with Van Hool, Aberdeen City Council, Mercantec and CEMTEC/Hydrogen Valley and developed a Fuel Cell and Hydrogen Training Programme for mechanics and bus technicians. 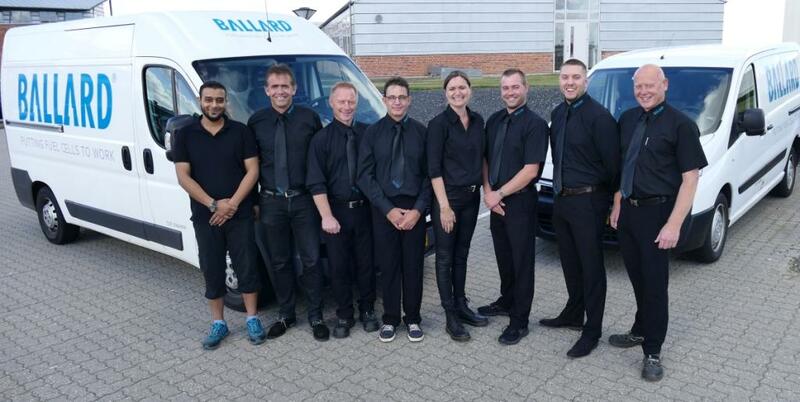 Because the demand for reliable, affordable and robust heavy duty fuel cell solutions is growing, the Ballard Europe team also continues to grow. Our competencies and capabilities within heavy duty application engineering, system development and service are stronger than ever. Good after-sales service is our pride, enabled by our expanded repair center, spare part center, training center and fleet monitoring center in Denmark. Because of this, our fuel cell heavy-duty vehicles and backup power systems keep running and doing their jobs even better. To learn more about service for transit buses, read this interview with our after-sales expert: The Facts on Fuel Cell Bus Maintenance and Support. We have an ambitious plan for growing in Europe. We will leverage our experience developed in the bus sector to continue to enhance market adoption in other similar heavy-duty markets, including truck, rail and marine. 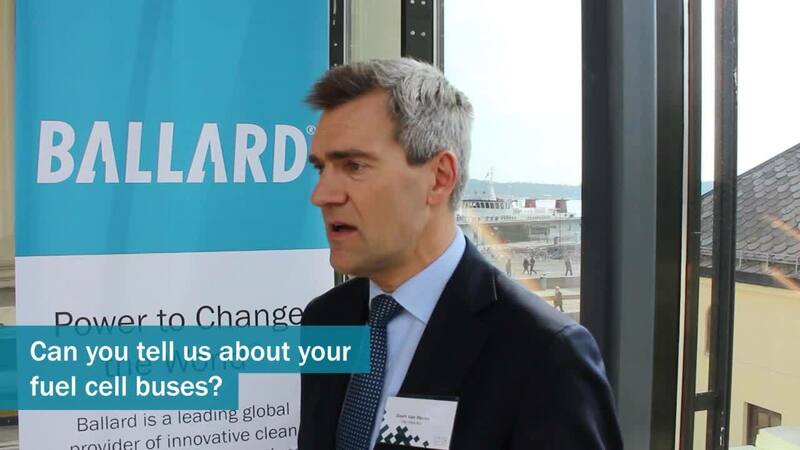 Ballard will continue to grow revenue generated in Europe and in the process, increase local employment opportunities. We have realistic goals to deliver more than 500 units of heavy-duty power modules per year by 2022. To learn why fuel cell technology is good for local European economies, read: EU Energy Policy and Hydrogen: The Path to Local Economic Prosperity. Set up the first production of our next generation heavy-duty motive module in Denmark. Continue to identify and validate European suppliers in order to increase European content in our products. This will further support the European value chain. Work with industries and institutions in Europe to address the growing demand for fuel cell buses, trucks, trains and ships through relevant alliances with OEMs and hydrogen solution providers. Foster regional deployment projects with European partners to accelerate commercialization of heavy duty fuel cell vehicles and reach cost parity with other zero emission technologies. Continue to provide technology solutions to leading automotive OEMs in Europe. Grow our local service offering and local presence to support new heavy-duty vehicle deployments. Ballard Europe is growing and will continue to invest in providing sustainable mobility solutions made and serviced locally. We look forward to work with industry, communities, and policymakers to accelerate the shift to zero-emission transportation in Europe. Together we can create cleaner, more livable communities, a robust clean energy economy, and inspire other regions to do the same. 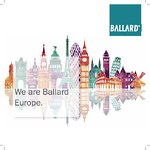 For more information on our commitments to Europe, download Ballard's European Vision Brochure below. This blog was originally published on November 23rd, 2017. Download Ballard's European Vision Brochure to learn more about our exciting upcoming commitments to Europe.